Urdaibai is the only Biosphere Reserve in the Basque Country, and is the most valuable protected area on the Basque coast. It comprises 22 municipalities and has a resident population of about 45,000 inhabitants. This territory belongs to the hydrographical basin of Oka river, and covers an area of 220 km2. It is home to a wide range of different ecosystems and landscapes, the most important being the Cantabrian holm oak woods, the Atlantic countryside, the coastline and the marshes. These marshes constitute the most important wetland in the Atlantic Basque Country, due to their size and their excellent state of conservation. They provide an essential resting ground for birds during the migratory and wintering periods. Urdaibai has a great ecological and ornithological importance. It also keeps an interesting balance between the economic activities promoted by humans and its lush environment, which has enabled the establishment of a model of socioeconomic development based on sustainable development. 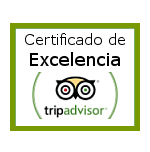 As result of this, Urdaibai was declared a Biosphere Reserve by UNESCO in 1984. In recognition of the ornithological importance of the Biosphere Reserve, its marshes were declared a Special Protection Area for Birds (SPAB) in 1994, and the territory was later incorporated into the Natura 2000 Network. The Reserve was also included in the Ramsar List of Wetlands of International Importance in 1992. The ornithological richness of Urdaibai Biosphere Reserve has been backed up by many studies conducted in the area over the last decades. Close to 250 bird species can be seen here throughout the year.